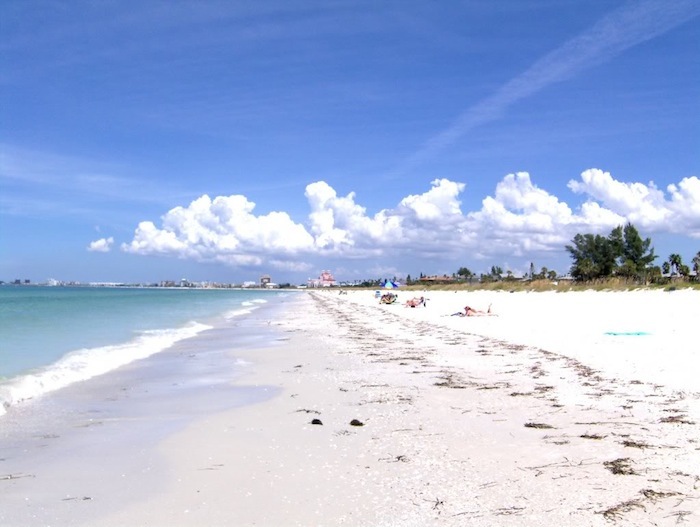 Sending you an e-postcard from St. Pete’s Beach in St. Petersburg, Florida. I attended a conference here and decided to stay an extra day on the beach and by the pool, soaking up the sun and ocean flow. Summer is flowing into Fall and this is my way of riding the wave from one season to another so I can make the transition with ease (and sanity!). Before I go, I will walk on the beach and collect seashells to take home…a symbol of the summer season. As Fall energy boosts me for Winter’s introspective climate, a single seashell will remind me that summer will again return. I will keep this note short but encourage you all to do the same. Find something from your summer adventures and keep it in a special place as a reminder. When Fall draws on your resources, recall your Summer self. Similarly, when we prepare for Winter, our Fall intentions will support us. It is the cycle of change that carries us forward. However, it is always important to remember where you come from when noticing where you are. Fall has much to offer us if we slow down enough to notice.